Providing maintenance, funding, and other support for Connecticut’s largest shoreline park, the Friends of Hammonasset Beach State Park have a stated mission to “provide environmental education, preserve the integrity of the park’s natural resources, and serve as an advocate for the park.” The all-volunteer organization relies solely on donations and membership fees to help to preserve and enhance nearly two miles of beach, over 550 campsites, several rustic cabins, and numerous hiking trails. The Friends also support the Meig’s Point Nature Center, facilitating educational programming on local flora and fauna. 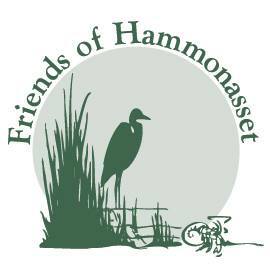 To raise money in support of their goals, the Friends of Hammonasset Beach State Park maintain a small gift-shop at the nature center and host a series of fundraisers and similar events throughout the year, including both a popular Mum Plant and Pumpkin Sale and the annual Hammonasset Festival. More information may be found on their website.